Supramolecular chemistry associates the dual concepts of self-arranging and molecular perception to generate novel nanocarrier systems. Nanoparticles have numerous benefits over other drug delivery carriers. Solid lipid nanoparticles (SLNs) have acquired significant attention as a potential substitutive carrier system to usual colloidal carriers like liposomes, emulsion, as well as polymeric nanoparticles. SLNs are the novel fundamental approaches to alter the oral bioavailability problems of the poorly aqueous soluble drug. However, due to the hydrophobicity of SLNs, they are essentially stabilized to prevent aggregation and diminish the liability of clearance by the macrophage system. Therefore, coating the SLNs surface by a highly hydrophilic moiety leads to prevent aggregation and severe interaction with healthy cells. Resorcinarenes are synthetic supramolecular macrocycles with bowl-shaped head and several hydrogen-bonding tails which are capable of developing additional host-guest complexes through the self-associate process. Resorcinarenes are the most frequently studied macrocycles for the buildup of supramolecular SLN systems, because the bowl-shaped head of the resorcinarene molecules can enable them to adhere readily to the SLN surface, permitted them to interact with the substances outside the coating but prevented them from touching each other, leading to meaningful impact on the stability aspects and physical–functional properties of nanoparticles. Significantly, resorcinarenes and its water-soluble components show good biodegradability, biocompatibility, and nontoxicity, which are essential requirements for applications in any type of drug delivery carriers. 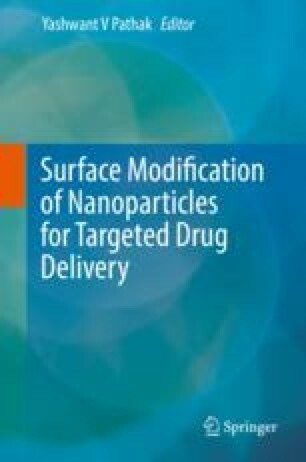 This chapter highlights the recent development in resorcinarene-based lipid nanocarriers for drug delivery and targeting. All figures and tables are original and self-made.